Newberry College’s Pre-Law Program is designed to prepare the future lawyer for one of the most important and rewarding occupations one can undertake. In addition to taking a Pre-Law curriculum, the future law student has the opportunity to socialize with other pre-law students, be part of a Mock Trial team and gain legal experience through internships. Students emerge from the program well-prepared to succeed: 90 percent of students completing the Pre-Law curriculum admitted to law schools and, since 2003, 100 percent have completed law school. Recent graduates have been admitted to the following law schools: University of South Carolina, Charleston School of Law, Florida State University, University of Miami, Southern Methodist University, University of North Carolina-Charlotte, and University of Virginia. Pre-Law students take courses that prepare them for law school, and they intern with both local and hometown lawyers as well as state and federal attorneys. Law schools do not require a particular major or undergraduate field of specialization.  At Newberry College, you are encouraged to select the major that excites your imagination and supplement this with our pre-law courses. Admission to law schools is becoming more competitive. The Pre-Law curriculum, when combined with a major and the general education requirements, gives the student a solid foundation on which to base his or her application to law school. Students interested in gaining experience in a legal environment can receive up to 3 hours of college credit for an internship. Internships offer potential law students the opportunity to gain practical experience in law or politics; they can also help students decide whether or not law is the profession they wish to pursue. Advisors in the Political Science program will help interested students secure an internship with area law firms, the U.S. Attorney's office, the U.S. Department of Justice, or a law office in their own hometown. For those interested in lawmaking, the Political Science Department offers internships with the U.S. Congress and the South Carolina legislature. With a simulated case, Newberry College students take roles as attorneys, witnesses, and defendants. With a local judge presiding over the trial, teams argue cases before a jury. Mock Trial is an excellent way for students to hone their understanding of the law, court procedure, and argumentation.